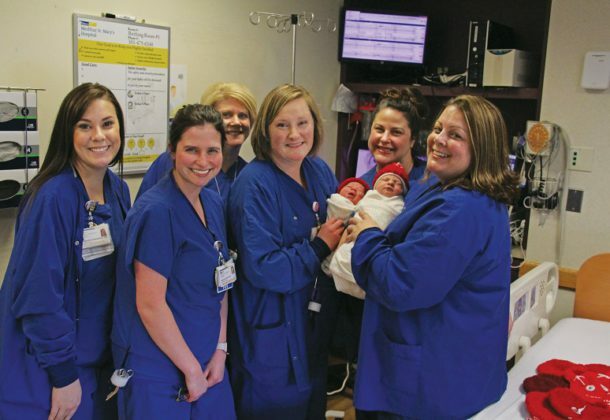 MedStar St. Mary’s Hospital put out a call earlier this year for red hats for babies born at the Leonardtown hospital. The results were tremendous. Mary Cheseldine and Ellen Lewis. 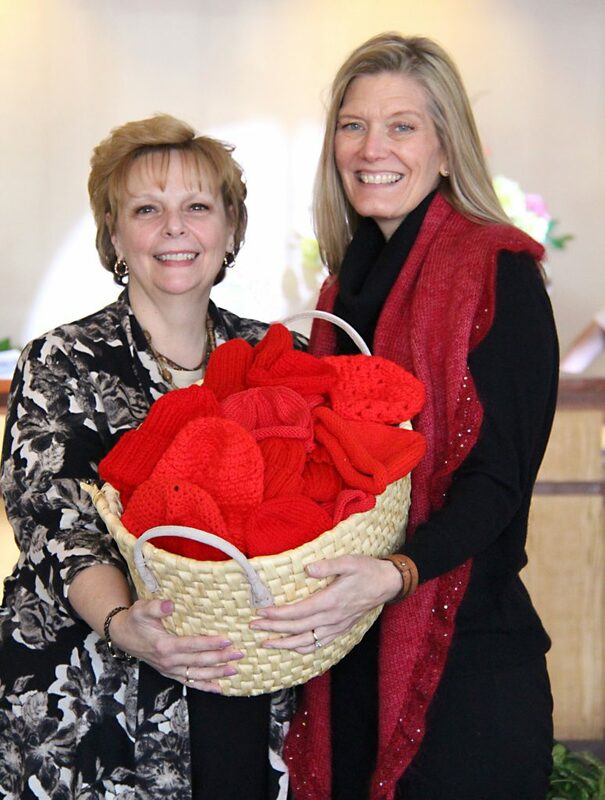 Through the American Heart Association’s “Little Hats, Big Hearts” campaign, families who welcomed babies at the Women’s Health & Family Birthing Center in February received a handmade red hat instead of the traditional pink or blue. More than 400 caps were generously donated by community members. The special hats were meant to create awareness of congenital heart defects during American Heart Month, plus emphasize the importance of living a healthy lifestyle. “Knitters and crocheters are just the most loving group of people,” said Ellen Lewis, owner of Crazy for Ewe in Leonardtown. Lewis’ store served as a drop-off point for red hats through January, when she brought more than 80 to the hospital Feb. 2. Contributions from Crazy for Ewe were donated to honor Jacob Medrano, who has had three major open heart surgeries and 28 minor procedures to repair a congenital heart defect. Jake, a local pre-kindergarten student, celebrated his fourth birthday in January. “The kindness shown by members of our community — too many to name — is very appreciated by the hospital and, more importantly, by our patients and families,” Cheseldine said. Visit the American Heart Association’s website to learn more about the campaign. Learn about more ways to give back to the hospital here.